In one of my previous posts, I showed you the niche & tools you require in starting your own information business in Nigeria. Today, I am going to show you how to create your own products. For you to be able to make money online, you need to have a specific product or service that you sell. So I can create an E-book now and sell to 1 Million people at a specific price without spending on printing, posting the book to them or even opening a shop. All they need is have a computer to download it to and immediately they have access to their product….Chikena! And guess what… Lots of money are being made from E-books everyday. In 10 years from now, E-books will be rampant in our Nigerian Universities… Apple (owned by the late Steve Jobs) are also getting in the e-book business…with ibook. The biggest retailer of E-books is Amazon and in 2011 alone, they sold over 22 Million e-books. 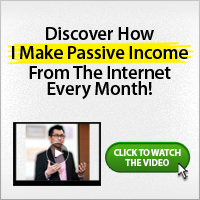 So how can you get into this market and start making lots of cash. You need to be able to create and sell an information product. I usually write down the outline of my niche on paper. For instance, I am working on a book and I already wrote down exactly what I want the product to solve…on paper. And you know why you should write on paper? It’s because we were trained and taught to always think when we have a pen in our hand with a paper. Have you noticed that ideas flow in your head if you have a pen and paper better than when you sit down behind a computer to type. On that same piece of paper, write down your chapters. Never write your book without writing the chapters first. This will give you a sense of direction and you’ll be able to complete your product on time. Start typing your product out. If you have a full-time job and have limited time, dedicate yourself to write two pages everyday. By the end of 2 weeks, you’ll have 28 pages book. Once you complete typing out your product, spend some time to edit it for errors. Also, this is when you get inspired to add some other sections to the book. Once you are done, give it to a friend and get them to edit for you. PDF is the format for all E-books. There is a feature on Microsoft Word that let you convert your product to PDF. By going to “File” and “save as PDF, your written product will be converted to an E-Book. And that is it, you have your own ready-made product. Trust me, it’s as simple as that. Now, you might say…..I have tried creating a product in the past and it’s not as easy as you’ve just explained above. You might even say, I have tried creating a product in the past, but i didn’t have clue where to go from when i get started. Like i stated…your first action should be to use your pen and paper. It will make your product creation very easy.